Our students learn everything they need to know in order to solve business and technical management problems. We enable them to independently apply their knowledge of business. The broad basic education and the specialization in the second stage of the program ensure that our graduates are qualified for many different areas of responsibility. A great advantage of business administration at Coburg University is the small group size in advanced courses. This ensures that students are supported and challenged specifically according to their knowledge and skills, for example with case studies, business games, and work with current business software such as SAP R/3. We consider it important to develop the social, communication and networking skills of our students, and we utilize carefully selected application-oriented projects. Presentations by high ranking guest lecturers from industry, joint projects with companies, and a practice-oriented final thesis ensure extensive contacts with regional and national companies. 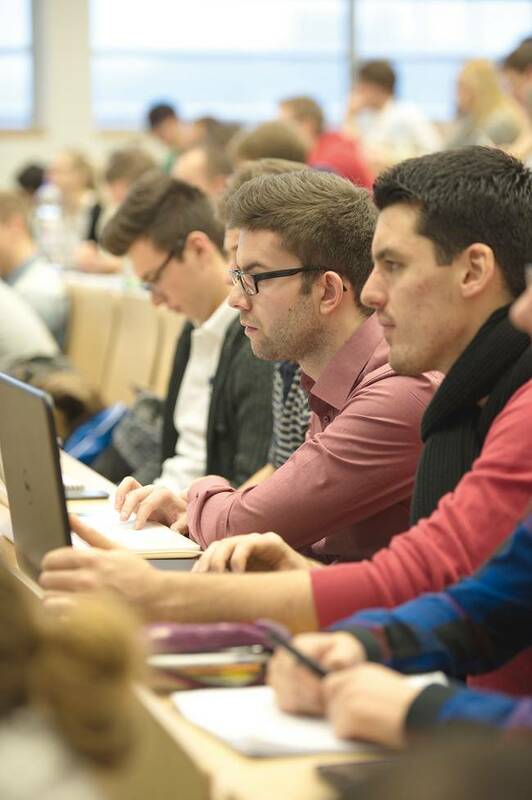 Further information in German: Business Administration B.A. This part-time bachelor’s program in business administration allows professionals to complete the internationally-recognized degree "Bachelor of Arts B.A." while working. The program is organized to coordinate with the time commitments of working students. The program is aimed at determined and highly committed individuals who want to obtain further qualifications. Students who are working while studying are not required to complete the internship which is commonly required at a University of Applied Sciences. Further information in German: Business Administration (part-time) B.A. The program in Industrial Management combines the classic business administration program with theoretical and practical elements of the natural sciences and technology. In the first four semesters students gain comprehensive insight into business and expand their knowledge in mathematics and basic science and technical subjects. In the last part of their bachelor's program (6th and 7th semesters), students can concentrate on a business and a technical focus. Finally, the bachelor's thesis focuses on economic issues in industry. A great advantage of Industrial Management program at Coburg University lies in the small group size in advanced courses. This ensures that students are supported and challenged specifically according to their knowledge and skills, for example in business and technical projects. Further information in German: Industrial Management B.A. Well-informed and motivated employees who can understand and serve the needs of customers are key to the success of insurance companies. The requirements for these employees continue to rise as the target group changes its demands and ways of collecting information. New forms of sales and marketing and a higher number of competitors also contribute to changes in the services sector. With this program, Coburg University wants to prepare future employees appropriately for their tasks in the insurance industry. The students learn how to work across all administrative divisions in a solution-oriented manner. We consider it important to develop the social, communication and networking skills of our students, and we utilize carefully selected application-oriented projects. Specialist from the industry offer courses, and they bring their own experience and concrete examples from the industry and discuss them with the students. Further information in German: Insurance Management B.A.